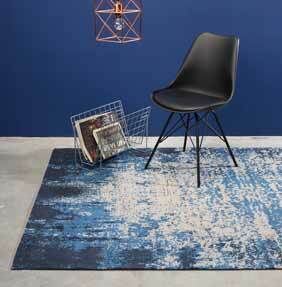 Rembrand is made the same way as our Retro Chenille rugs, the biggest difference is the more contemporary appearance. Its hard to describe the design, its modern without being over modern, the colours graduate into each other giving the unique space like look. The colours start out light in the centre and become more deep and bold towards the edges of the rug. The rugs are made from 100% cotton Jacquard Chenille. The subtle / pastel colours are washed to give a faded, toned down vintage appearance. Reza is made exactly the same as Rembrand, the material, manufacture and texture are exactly the same. The only difference is the pattern. Reza features more of a traditional / Aztec designs, the colours are also different. Choose from 6 colours and 3 popular sizes, 160x240cm, 200x290cm and a large 240x340cm.